Let's face it. A house that has a child will never be as 'tidy' as a house with no children. That is just a fact. Even when we do tidy, give it 5 minutes and it will be a mess again. Unfortunately, that is just how life is at home with a child. 1. You find stickers on floors, walls and doors. Yup! If your child is at that stage where they can peel the stickers off themselves, then keep away the stickers! But someway, they manage to find some stickers and off they go sticking them onto anything they see. 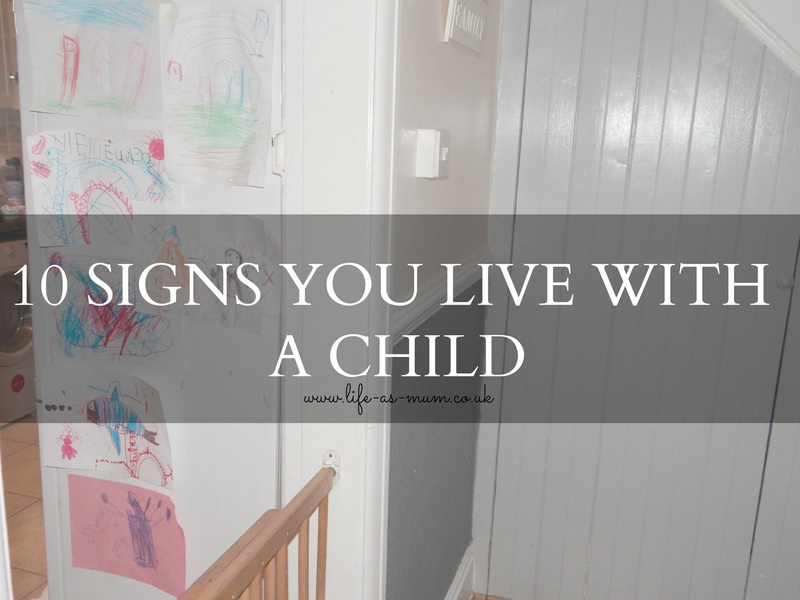 Why do children feel the need of writing and colouring on painted or even wallpapered walls?! Keep pens, crayons, felt tips and pencils OUT OF SITE! I'm sure we have all had those little trips over a silly darn toy, right?! OUCH! Even if you think you have tidied each room, there will always be one toy or more, hidden somewhere. No? What about behind the radiators or underneath the sofas? 5. Stop it! Tidy up! NO! Oh, those three lovely words. *NOT*. They are the words that get used often to a child. Am I right? If not, then please tell me where I am going wrong! I feel like these are the words I always say to my children on a daily basis. The doorbell rings. Before you even get out of the room you are in, the child is there right in front of you. Opens the door for you! A bit awkward if they are just in a vest or just in their nappy! Hmm... Why do children feel the need of taking their nappy off and hiding it so I can't find it?! Seriously, trying to find a nappy is not great fun Elliw! 8. Toilet roll down the toilet, toothpaste and soap all gone! Oh yes. The great ol' trip to the bathroom. You think they are playing nicely. When in fact they have chucked a toilet roll down the loo, tried to brush their teeth by using all the toothpaste and smother their hands and faces with soap/shampoo too! 9. You start housework, they start moaning. Honest. They're not. You put on your clean clothes for the day. You are bound to get some mucky marks from their hands or mouths on your clothes through the day. Can you think of anymore signs? Why do all those toys have such sharp little edges?! I have a 9 year old step daughter and a 1 year old son and I can relate to some of these things. I have found stickers all over the place including inside the washing machine. Im forever finding sequins of her clothes all other the place and my son well I will find toys that have been hidden days later before and even bits of food he lobbed that went into some obscure little nook that you don't realise it had reached till you hoover up lol.